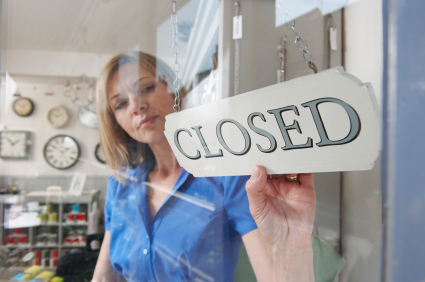 Small businesses are an essential component of any local economy. They supply sorely needed tax revenues and employ the local workers. Hopefully the small business owner will become wealthy in the process. Just How Small is a Small Business? In recent published reports, any company that employs less than 500 workers is considered a small business. According to those numbers, small businesses go way beyond the Mom and Pop shops. In the US, small businesses account for 99.7 percent of all firms hiring employees. In addition, small businesses add to the new job growth and they contribute to the national economy. However, out of those businesses, seven out of ten last for two years or more and only about 50 percent survive for five years or more. It is still possible to start the old fashioned way, which was to find a location, print up business cards, put up a sign and wait for the first customer to come by. But real success comes with education, careful planning, understanding the industry and adequate funds to get you going in the right direction. For the best chances of success,a good business plan is a must. It will force you to think through the realities of owning your own business by taking a good look at overhead, expenses, potential sales and projected income. The Internet is a plentiful source for free seminars, courses and videos to help small businesses get started on a solid footing. This involves questionnaires that will help you determine if you're cut out for owning a small business. Are you a self-starter or do you need someone to kick you in the pants? Do you enjoy dealing with people or would you rather be working alone in a back office? How disciplined are you and how do you feel about taking risks? These are all basic questions that will help you make the plunge. Or not. If you do your homework and you still feel motivated to step out into your own small business, then put your best foot forward and enjoy the ride! "But real success comes with education, careful planning, understanding the industry and adequate funds to get you going in the right direction." It is very important to set goals not only for bigger businesses but also for small businesses. Getting into a small business is a risky one, but it will make the move to start a small business a calculated risk by having specific goals and careful planning. I didn't even know that the term small business didn't only include family shops and shops alike. It's a pretty nice thing that there are guidelines and help material on the Internet for those who want to start a venture like this, because they need the most help, as they are the most vulnerable and who probably have the least knowledge about the dangers and the useful facts concerning business life. I own a small business here, and I agree with you 100%. Small business are needed in every community. We keep the big companies on their toes. Thanks for the great info. Good basics for those interested in setting up a small business. Would've helped also if there was something on how to go about getting start-up funds. Small and even "micro" businesses are also most popular in Europe, even though we only really hear about the large enterprises that earn the highest profits. Some countries in Europe like Romania, I believe, make having a micro-enterprise more attractive by offering lower taxes on such businesses. This makes them more profitable. Small businesses fulfill needs of their respective localities. These are essential parts of every location. Well said about the smallness of business. Small business is a great option to start an individual business as it is easy to manage and less risky. Thanks for providing such useful details regarding small businesses. Now a days, small businesses are very popular all over the world as these are very easy to manage and also helps in getting huge money. Thanks for sharing this useful details about small business.